Employers are being confronted with wage garnishments more frequently than in the past. Sometimes an employee will already be subject to a legal garnishment when the employer receives a new notice. Here are some basics on wage garnishments for employers to consider, including what to do when you have multiple garnishments for the same employee. How much of an employee’s paycheck can be withheld? Under the Consumer Credit Protection Act (CCPA), there are limitations on how much of an employee’s wages can be withheld for most creditor garnishments. Under federal law, most wage garnishments can claim either 25% of an employee’s disposable earnings or all disposable earnings beyond 30 times the federal minimum wage, whichever number is less. In addition, Delaware law further limits the garnishment to 15% of the employee’s disposable earnings less 30 times the federal minimum wage. An employee’s “disposable earnings” are the amount of earnings left after legally required deductions (e.g., federal, state, and local taxes, Social Security, and Medicare) have been made. Deductions not required by law (e.g., union dues, health and life insurance premiums, and charitable contributions) aren’t subtracted when the amount of disposable earnings for garnishment purposes is calculated. Different rules, however, apply to support orders. In the case of child or spousal support, up to 50% of disposable income can be garnished if the individual is supporting a current spouse or child who isn’t the subject of the support order. Up to 60% can be withheld if the employee isn’t doing so. Also, an additional five percent may be garnished for support payments over 12 weeks in arrears. For student loan garnishments, only 15% can be garnished. For delinquent taxes, the IRS uses a special chart to determine the maximum amount of wages that are subject to garnishment (see http://www.irs.gov/pub/irs-pdf/p1494.pdf), but it’s typical for up to 70% of an employee’s wages to be subject to IRS garnishment. The CCPA also prohibits employers from firing employees because they are subject to a garnishment. In addition, Delaware employers that dismiss employees because of a garnishment order are subject to criminal fines and penalties. What should I do when I receive a wage garnishment? As soon as you receive a garnishment notice, you are obligated to start withholding the specified amount from employee paychecks and begin sending it to the creditor. You should confirm receipt of the order and notify both the employee and the creditor of your intent to comply. 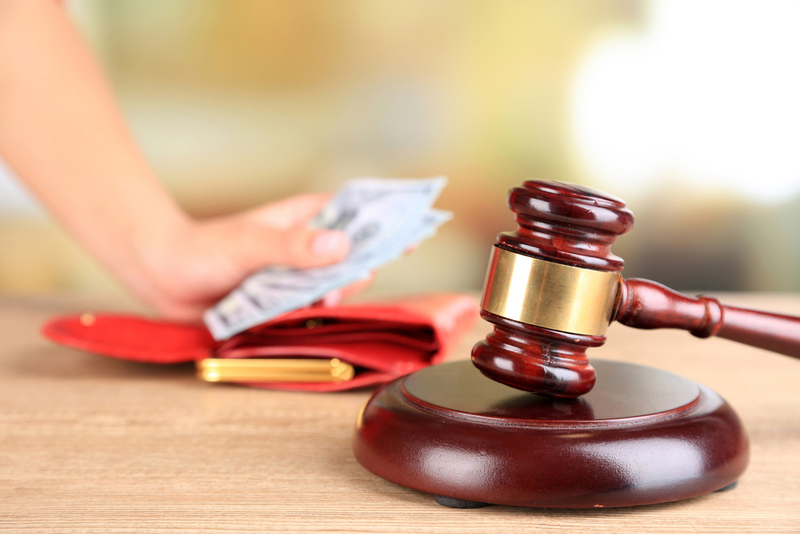 If the employee challenges the garnishment in court, you should immediately stop paying the creditor and instead send the garnishment payments to the court or agency that issued the wage garnishment order. That court or agency will be responsible for holding the funds until the dispute is settled. What happens if I receive multiple garnishments for the same employee? Sometimes, an employee with a wage garnishment will resign or be fired. Although you aren’t required to continue making garnishments once he is no longer employed and on the payroll, it’s good practice to notify the creditor in writing, providing the date of separation. Please check your state’s wage garnishment laws to see how they handle multiple garnishments and garnishment priorities. We all know wage garnishments can be a tricky process to navigate, and some employers don’t read or understand all the laws related to being an employer. But the penalties for noncompliance can be steep, and employers that ignore a garnishment or don’t withhold enough wages could be left paying the bill. Scott A. Holt is an attorney with Young Conaway Stargatt & Taylor, LLP in Wilmington, Delaware. Heis also an Editor for the Delaware Employment Law Letter and can be reached at sholt@ycst.com.